The last decade has seen a rapid increase in the interest in a simpler life, smaller homes, and smaller ecological footprints. While many people who opt to build a tiny home have different reasons for this decision, they mostly focus on economy and a better quality of life while having less of an impact on the environment. 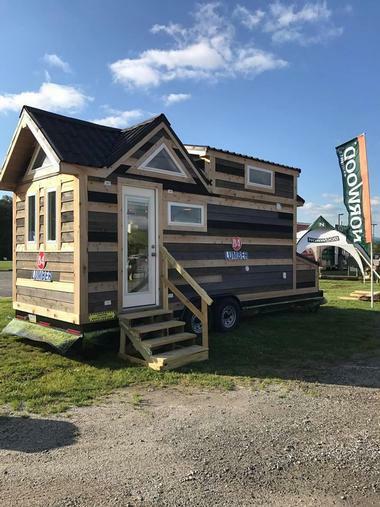 Three Pennsylvania companies stand out in their efforts to answer their customers’ requirements for tiny homes: Liberation Tiny Homes, The Unknown Craftsmen, and 84 Lumber. All are run by experienced house builders who are implementing their philosophy of building high-quality durable homes on a smaller scale, with a few standard models to keep the costs down yet which are still customizable to customers’ demands. The owners of a Lancaster custom home construction company, James and Rosemary Stoltzfus decided in 2015 to try their hand at building a tiny 8.5' x 20' house to answer the increasing demands by their clients. 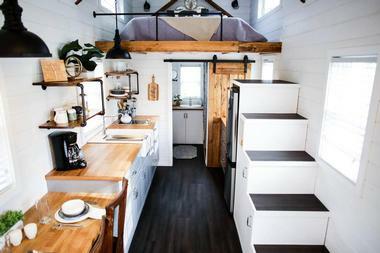 Their first farmhouse-style tiny home now serves as a model and is being rented through Airbnb to allow potential customers to try it out first. The success of this venture moved them to completely devote their business to building tiny houses, offering excellent craftsmanship and solid, durable materials that result in high-quality, long-lasting homes. 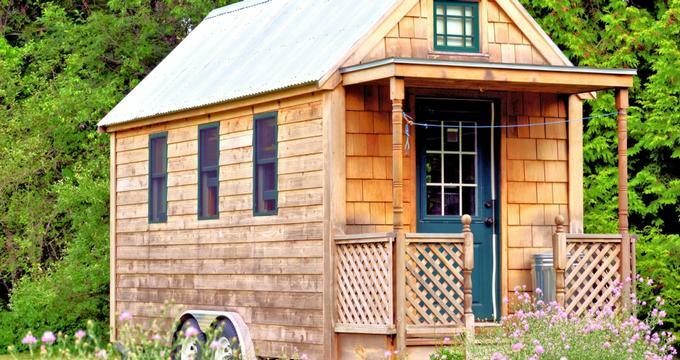 Their tiny homes are built on custom trailers and there are a few models to choose from. All standard models are customizable to their clients’ needs. One of America’s largest private building materials and services companies, the 84 Lumber company decided to join the tiny house movement by forming Tiny Living by 84 Lumber to satisfy their customers’ increasing demands. They understand the philosophy of “living happily for less” and answer it by building high-quality products with the added value package of services. Their focus is on inspiring a sense of adventure and re-evaluating and simplifying priorities. They work by collaborating with other skilled associates, encouraging the exchange of innovative ideas. They currently have four models: the Degsy, the Roving, the Shonsie, and the Countryside. Their homes are contemporary but cabin-like, country, and cottage-style, and all are under 210 square feet in size and mobile. Experienced and talented builders from Unityville, Pennsylvania, father and son Nick and Aaron Troisi formed The Unknown Craftsmen company with the goal of joining the tiny house movement by offering functional yet artistic tiny houses. Their first client was Tania Myren, who wanted her house to look like an old-fashioned gypsy caravan, so their called it the Old Time Caravan. The house is fully functional with all modern features, but is designed with a curved roof, round windows, and custom woodwork as it would have been in old times. They used exotic woods, including an old dying apricot tree from Myren’s backyard for the kitchen counter. The desk is a live edge maple and the staircase, which includes storage, is made of mahogany. The finished house fulfilled Myren’s dream of living off-grid in a one-of-a kind piece of art. 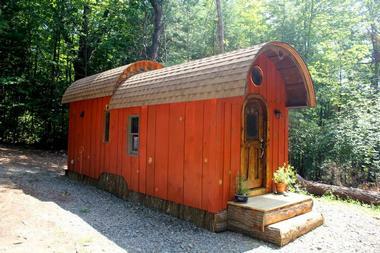 At the same time, the house launched these talented builders as unique, artistic craftsmen of tiny houses.